Do a quick check to see which followers and subscribers drive the most traffic to your business. Then, look at their social habits, like when they log in and what type of content they share. On certain platforms like Facebook and Instagram, a basic business account can monitor your audience’s activity. You can also track your traffic and note any trends in spikes.Another way to learn more about your audience’s habits is to do some research on your competitors. How do they utilize their social medias? What is the response they receive on their posts? You never want to copy content from your competitors but since you share an audience, you can get easier insight into what receives a positive response. This quick study can help you shape your social strategy and learn which social channels are better for reaching your target audience and what type of content they respond well to. Visuals are universal: they surpass language barriers, are quicker to receive a reaction, and make a better first impression than a wall of text.The best platform for visuals continues to be Instagram. Instagram self-reports that brands see a 4.21% engagement rate on their platform, which is considerably higher than other social networks. There are a couple of different visuals you can provide your customers, such as: high-level photography, sharing your products in a new light, telling a story, and lively colors on well-designed layouts. Instagram’s profile format can also help you share your story quicker, giving a bird’s-eye view of your company and your product. Changing algorithms and an easily distracted audience can make inconsistent brands suffer. When a social media profile doesn’t have a steady flow of traffic, the profile can see a drop in engagement. Staying consistent with your posting schedule, content, and engagement are the most important aspects of social media marketing. If you’re putting the work into sharing good, consistent content then you want it to be found and shared. Appearing as high as you can in search results is more likely to have your company be found by someone in your target audience. Optimizing your content, which can be as easy as just incorporating more keywords, will increase your social media traffic, improve online visibility, generate more sales and leads, and strengthen your brand’s authority and domain. Not only should content be accommodated to mobile displays for easier reading, but it should also be easier to share. It’s simple: content that is easier to share is more likely to be shared. But how is this done? 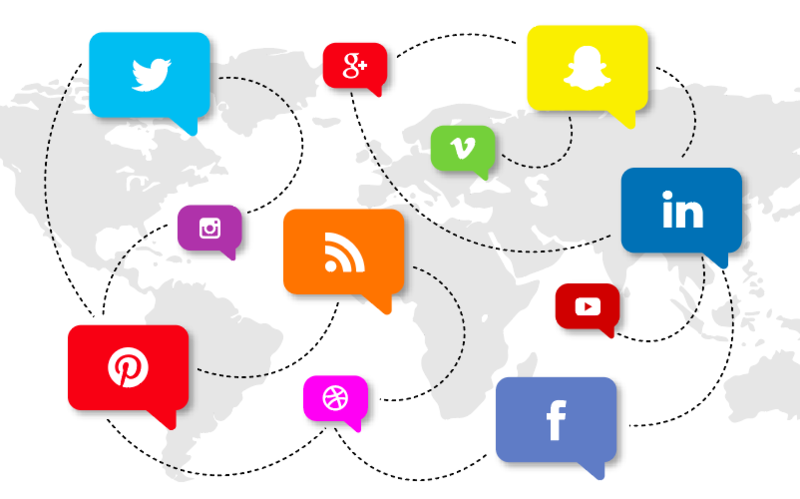 There’s two ways; social media plugins and buttons.There’s a variety of plugins and extensions that can help you spread your content on social media. For example, the “Better Click to Tweet” plugin on WordPress was designed for readers to be able to highlight part of your content to share on their Twitter without having to leave your page. The placement of social media buttons is another thing to keep in mind. Most readers are more likely to notice social buttons if they’re placed “above the fold” of your website. Placing your buttons near the top, while keeping them mobile friendly and not distracting, makes your readers more likely to notice and click them. Then it’s easy to hit the follow button and stay up-to-date on your posts. Social media is a great, and easy, way to market your brand. The more you interact with your customers, the more they’ll engage with your posts – which ultimately leads to higher conversion rates and sales, and helps you spread your story.